Founding a Silicon Valley startup, then, is a deeply irrational thing to do: it’s a decision to throw away a large chunk of your precious youth at a venture which is almost certain to fail. Meanwhile, the Silicon Valley ecosystem as a whole will happily eat you up, consuming your desperate and massively underpaid labor, and converting it into a few obscenely large paychecks for a handful of extraordinarily lucky individuals. On its face, the winners, here, are the people with the big successful exits. But after reading No Exit, a different conclusion presents itself. The real winners are the happy and well-paid engineers, enjoying their lives and their youth while working for great companies like Google. In the world of startups, the only winning move is not to play. Now, I don't think it's as bad as all that. There are definitely people out there who are similar to the hapless, hopeless, helpless team profiled in No Exit, but there are also a lot of entrepreneurs who are just doing what they love, who have extra energy and love to work, who deeply believe in the mission of what they do, or who have day jobs (a LOT of entrepreneurs spin off from big companies). Most entrepreneurs I know are genuinely happy with what they do. But Lewis-Kraus is capturing something real and important that is happening in America's economy. What's happening is that the return to uncertainty is going down. "Uncertainty", also called "Knightian uncertainty", is like risk, but not quite the same. Risk is when you can calculate the probability of gains and losses, like when you play roulette or blackjack. Uncertainty is when you don't know the odds. Frank Knight observed that entrepreneurship involves a lot more uncertainty than risk. When you start a new business, you don't really know how to calculate the odds that your idea will succeed - whether personal computer users will embrace a graphical user interface, whether people will want to post their pictures on a social network, etc. In finance, risk is priced - you have to pay someone to play Roulette, or they won't play (unless they just love gambling). So riskier assets earn higher returns, on average. But Knight's insight is that uncertainty is also priced - the fabulous wealth that some entrepreneurs earn must be compensation for taking a bet where they didn't even know the odds. Psychology experiments suggest that people don't like uncertainty. They want to know the odds. That's probably one reason why in the past, entrepreneurship paid more on average than working for someone else. But what Lewis-Kraus and Salmon are suggesting is that the new culture of entrepreneurship has changed the equation, giving people an unrealistically rosy estimate of their (unknown, and unknowable) chances of success. In other words, Lewis-Kraus and Salmon suggest that the returns to uncertainty - to the willingness to challenge the Universe, and damn the odds - are declining, at least in Silicon Valley and in the IT industry. Uncertainty, in the language of finance, might be getting overpriced. Depending on the role of entrepreneurship in the economy, that could be a good thing. But for the legions of entrepreneurs who are giving up comfy careers because the VC industry and the personal stardom of people like Mark Zuckerberg have convinced them that the Universe is on their side, it might be a bad deal. 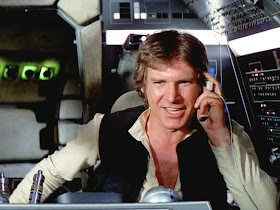 Han Solo didn't want to know the odds, but maybe you should. Picking the wining companies is easy if you know what to look for. In my writings, I predicted facebook, airBNB, snapchat, pinterest would become more valuable, which indeed they did. It's as simple as looking for a company with a lot of user growth, a wide moat, and in a hot sector. The mistake a lot of VC firms make is investing $50 million in something that is new and edgy (like a watch or a lame phone app that has no users) instead of the already valuable stuff that has gained traction, such as snapchat. At least in the later case you have a near 100% chance of doubling your money on buyout or IPO instead of a 99% chance of failure and maybe a .001% chance of having the next facebook. The expected value of the later is lower, too. Entrepreneurship has a higher ROI if you chose a business that has low start-up costs and expenses, in a hot sector, and viral potential, such as apps and websites, versus businesses with a lot of overhead, like restaurants and retail. But there's good reason to be risk averse given the high failure rate. The work of successful entrepreneurs probably has tons of positive external effects - his/her business idea will be successful if it contributes something to the whole society - another reason why successful entrepreneurship should earn high rewards. The only problem is indeed uncertainty. But uncertainty is 'needed' - otherwise every rational actor would choose to become an entrepreneur. I think you mean the "perceived" returns on uncertainty are going up. Later you say they are going down, and I think you are referring to the "actual" returns. Sounds plausible. Except this too-narrow uncertainty premium would arguably produce more tech start-up activity, not less. "In two separate white papers from the Kauffman Foundation released this week—on the tech sector and on the broad state of entrepreneurs—the rate of small business creation has been steadliy declining for the past 20 years or so. This dip—particularly in the technology industry—has been occurring well before the most recent recession began in 2007. " As an aside, the Fed is trying to reduce the risk (known odds) of speculating in duration. Meanwhile, this activity is arguably increasing the uncertainty (unknown consequences) in the economy. You have the cause and effect backwards. The returns on uncertainty are going up exactly because fewer people are engaging in entrepreneurship. So the reason is why. I think here you have to look at cultural reasons. For management to education to here in entrepreneurship rational people are going with what looks more like a sure thing, rather than taking a chance. It may be rational for them to do so, as Noah argues, but it is probably bad for the economy as a whole. Most industries are built on the bones of their first entrepreneurs. We need them to start the path down the learning curve for any new industry, even if almost all of them lose in the process. Actually I made a silly typo. I think the returns to uncertainty are going down. CAIRO -- Israel is working hard to build stronger security and economic ties with China and India, looking to broaden its options as the U.S., its closest ally, starts to play a smaller role on the world stage. First, running your own startup, even a failed one, can look quite good on your resume. This was many years ago, but a close friend of mine did that--his startup failed pretty brutally, but the expertise he made and the contacts he made got him a much better job than he would have been likely to get had he simply continued working for other people. Many people have ultimately come out ahead, professionally and monetarily, after their failed startups compared to what would likely have happened otherwise. You also become a more rounded person doing this--you learn better how to deal with uncertainty, with non-technical people, and many other things that are mostly outside the experience of the corporate engineer. Second, Salmon portrays the entrpreneurs as people sacrificing "a time of your life when you should be out enjoying life and meeting friends and generally having lots of fun", and in return being "unhappily tethered to your laptop at all times". But that's not the life I've seen for most Silicon Valley engineers. The job is lonely--you work by yourself most of the time, mostly interact with the same few people when you do, and don't generally get to learn much or do much except write code. Or, you can go into consulting and have a different kind of non-life, living in remote hotel rooms while trying to bring impossible expectations to life. In any case, the life is not really that pleasant for the majority of the people doing it, which is the main reason the burnout rate in the field is so high. I'm a few years out of the biz now, but I don't see any signs that the lifestyle has changed all that much. Bottom line: I think the upsides to being an entrepreneur, and the downsides to decades of corporate engineering life, are perhaps not apparent in the numbers which non-engineers see, but are nonetheless real. Just a precision: Entrepreneurship, even failed one, may look good on a US or on a US IT curriculum vitae. Not so in Europe. Here, failure, any failure, any deviation from the golden path laid out by society/HR department will be thoroughly punished. "Not so in Europe. Here, failure, any failure, any deviation from the golden path laid out by society/HR department will be thoroughly punished." In my experience this is not true. ""Uncertainty", also called "Knightian uncertainty", is like risk, but not quite the same. Risk is when you can calculate the probability of gains and losses..."
I am aware of this distinction and have read Knight's book ("Risk, Uncertainty and Profit"). This definition however does not satisfy me. Probabilities are never known with certainty nor there exists a ultimate infallible calculation method. We may act on a probability estimate but not only we are not fully certain that this estimate is exactly correct but also we can be fully confident the estimate is always incorrect ("all models are wrong but some are useful"). On the other side we always have very rough estimates of some relevant odds. We have some information about the economy, some about the sector, some about the success rate of this sector, some about the available funding etc. etc. At the same time Banks and Venture Capitalists have their own estimates and more often than not they make money. In my opinion is only one thing that may differentiate estimates involving odds and that is whether the estimates can be defined or not. Hence we can't have a (mathematical) expectation on the start-up's eventual success (measured by its size) as this quantity follows some kind of a power law (hence infinite first moments). I also find the distiction between risk and uncertainty problematic. The words are used interchangeably in many contexts, and trying to associate a meaning more precise than the common use meanings leads to confusion. For example, the field of metrology spends it's entire effort working out uncertainty with high precision. What they mean by uncertainty is mathematically more like risk, but since they are not risking anything - only being uncertain about their measurements - they use the term uncertainty. Also, there is no hard distinction between risk and uncertainty. There are degrees to which probilbility distributions are known, and so there is a continum between risk and uncertainty, not two distinct things. Agree the binary roulette / entrepreneurship model is not that useful. Most activities I engage in (buying a stock right now, crossing the road at a certain time at a certain place) are not repeatable in a controlled way like roulette is. So I can't know the odds for sure. Instead, I use a set of sufficiently similar events to construct the odds. Starting a company in silicon valley is like that. It happens often. You can see that some succeed and some fail. Wanting to know the odds for your exact company is like expecting to use actuarial tables to predict chances of your own death. No activity is repeatable in an absolutely controlled way and in everything there is always an element of ignorance. We may sometimes assume we completely know everything about a stochastic process but we never do. Sometimes we are actually completely wrong. Now with regards to the actuarial tables yes we may not completely predict the chances or our death but we may use those tables to learn something about those chances. Same thing actually applies to all scientific predictions. The observational data scientists use to predict the effects of different variables are not ours. Yet we may rationally believe smoking or the consumption of saturated fats will reduce our life expectancy. That is because we can rationally believe we are to some extend biologically similar to other human beings. The only difference between estimating the odds of different events is that some may have wider confidence intervals than others.
" There are degrees to which probilbility distributions are known, and so there is a continum between risk and uncertainty, not two distinct things. " I'm not sure what you mean when you say "uncertainty might be getting overpriced." (actually I think you mean underpriced). Risk preferences can be rationalized by using a strictly concave utility function, for example. But, I'm not sure we can rationalize uncertainty aversion. For example, Sargent and Hansen understand uncertainty through model misspecification aversion, in which individuals fear that the universe will respond to their choices by doing whatever makes them worst off. This is not rational because the universe's randomness cannot change depending on my choices. I can sort of say that, if risk is underpriced, then individuals will ex-post, on average, have been better off by choosing less risk. But, I cannot say the same using Sargent and Hansen uncertainty aversion preferences if uncertainty is underpriced. Uncertainty aversion is, by definition, about perception of uncertainty, and not actually about probabilities of outcomes. You seem to be suggesting that we can judge that perception outside of the price of uncertainty, but I'm not sure that makes sense. Uncertainty is a cost, actually. "The price of risk" is finance jargon. What I mean is that people are demanding lower monetary compensation for taking on a given amount of uncertainty. People demanding lower monetary compensation for uncertainty does not imply that uncertainty is underpriced. That is my point. Suppose skydiving is 100% safe, but I fear jumping out of airplanes. I must be compensated $100 to do so. Then, suddenly I do it for $50. Maybe I was unaware I was jumping out of a plane until you told me after I landed. Maybe my fear went away. Is there a difference? Ex-post, my ex-ante fear is irrelevant because it is not actually related to ex-post outcomes. I'm not in Silicon Valley, but I am an entrepreneur, and I can tell you a financial analysis of the decision to be an entrepreneur leaves out a very important point: namely, the people who choose to be entrepreneurs and those who choose to work for a steady paycheck are not identical pools of people. You might as well ask artists or actors (people in another field where only a few are richly rewarded and most struggle to get by) why they didn't become dentists or accountants. People have different inclinations. For some, like myself, the idea of working one of those steady jobs, even for great pay, sounds like death. We LIKE the uncertainty. Many of us even, perversely, enjoy the pain and struggle. Or at least we accept it, in exchange for the freedom to create thigns that are new to the world and determine our own destinies. Certainly, many of us have delusional perceptions of our odds of success, and a whole lot of us truly would be better off if we'd have taken/stuck with the path of steady boring work. But so too would a whole lot of 9-to-5ers would be better off if they'd gotten out of their ruts and taken risks. Better off not just in terms of pay, but in terms of the satisfaction one derives from starting their own companies. In short, any model that assumes workers inclined to the 9-to-5 life and those inclined to entrepreneurship are fungible is a flawed model. You're certainly right that inclination matters. Yet, in Germany (iirc), they had a study showing that the most common point between entrepreneurs wasn't their relationship to risk/uncertainty or whether they like working a "steady boring job" (as if those weren't mostly extinct as soon as you hit middle management) but... the fact that they had receive a windfall... Inheritance, oversized redundancy package etc. Many dentists start their own companies. I also think you can have engaging/interesting work and not own the company. And even be well paid without the stress that comes along with owning something. Sure, my father in law is one of those dentists who owned his own practice. I was making generalizations for illustrative purposes. In any situation, your mileage may vary. Are we only counting as entrepreneurs those people who are trying to come up with new products? What about the plumber who just works harder/better than his competitors to build his plumbing business. He's an entrepreneur simply because he has clients and not an employer right ? It looks like this discussion was intended to be about Silicon Valley entrepreneurs, which is a very limited subset. But yes, entrepreneur is a broad term that includes many different modes of operation. Yes, and I don't believe the paper Noah posted a link to (note - I haven't read it, but this is the internet). Most businesses fail, so there's at least a 50% chance that an ordinary entrepreneur will fail and go bankrupt, with nothing to show on his/her resume. Those who succeed for a while work long hours under serious stress, and are still taking large risks.
" Risk is when you can calculate the probability of gains and losses, like when you play roulette or blackjack. Uncertainty is when you don't know the odds." So if you know the coin is fair you do not have uncertainty about the next outcome? Even if you know the coin is biased in your favor you still have uncertainty about the next toss. If you invest 20 10 years in a startup and you blow can you afford to invest another 10 in another oen even if the odds are in your favor? When economists are going to understand that the expected value makes sense only when the game is played in a sufficiently large number of multiple universes? Risk vs. uncertainty is straw man argument. Uncertainty is what causes risk. Let us start educating students the right way. There is known uncertainty, like in a fair coin toss, and unknown uncertainty, like in black swan events. As a matter of fact, everything is uncertain in this world, so everything carries risk, either of known or unknown magnitude. There's not that much uncertainty. Working at a startup, you still get paid enough to eat and pay the mortgage. And even buy health insurance in the pre-obamacare world. Yeah, there's a lot of deferred compensation that might not ever be worth much or which might be worth a lot. But you aren't going to starve to death, you're having fun, and it will look good on your resume if it doesn't turn into a long term career. Huzzah for mentioning ambiguity aversion, Noah!